The Final Stage of the 2014 LPGA Qualifying Tournament just wrapped up, and there were co-medalists this year: Alison Lee and Minjee Lee (no relation). Let's learn a little bit more about them. Minjee is the better-known to this point of the 2014 co-medalists. She's an 18-year-old Australian who has had some high finishes as an amateur on various pro tours. That includes a victory: Early in 2014 Minjee won the ALPG's Oates Victorian Open. Lee was the winner of the U.S. Girls Amateur in 2012, and won the Australian Women's Amateur back to back in 2013-14. Her performances in pro events, while still an amateur, was good enough to move up the Rolex World Rankings to the point that she was one of four members of Team Australia at the inaugural International Crown on the LPGA. But before that, Minjee helped Team Australia win the Espirito Santo Trophy, one of the most prestigious amateur team tournaments. She turned pro in September, and was the No. 1-ranked amateur in the world at the time. 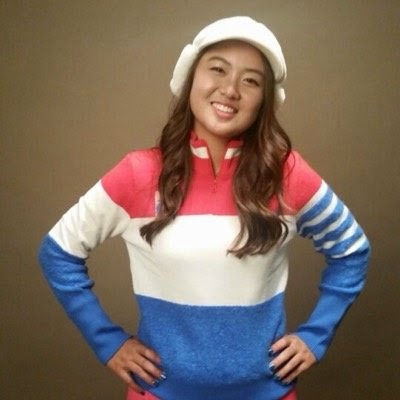 Minjee was exempt from Stage I of LPGA Q-School, but advanced out of Stage II by tying for fifth place. Alison Lee was still an amateur when she started the Q-School process, but is now a pro and a member of the 2015 LPGA Tour. She gave up her final two years at UCLA to turn pro. Alison had to play all three stages of Q-School. She finished tied for fourth at Stage I and was runner-up at Stage II. And, of course, tied Minjee for first place at the Final Stage. That's called making a run. Lee is a 19-year-old Californian who won the ANNIKA Award (the first one), given to the country's top female college golfer, after her sophomore season, just past. That was after being named Freshman of the Year in the NCAA one year earlier. She also compiled a 3-1-1 record at the 2014 Curtis Cup. Among Alison's college wins are the 2014 Pac-12 Championship and Betsy Rawls Invitational, and this past year she set the UCLA school record or lowest season scoring average. The 2014 co-medalists are certainly worthy, and both should have something to say about the 2015 Rookie of the Year race on the LPGA.